FAYETTEVILLE, Ark. – Jalen Beeks will make his MLB debut Thursday with the Boston Red Sox. The lefty will join his former Razorback teammate Andrew Benintendi at Fenway Park where he will face off against James McCann and the Detroit Tigers. First pitch is scheduled for 6:10 PM CT. In 10 starts with AAA Pawtucket, Beeks went 3-3 with a 2.56 ERA and a league leading 80 strikeouts. Opponents have hit just .197 against Beeks in his time at Pawtucket. He will have his work cut out for him on Thursday as the Tigers lead the league in batting average and have the third fewest strikeouts. Former Hog Chad Spanberger has continued his white hot start with Class A Asheville. His offensive numbers are towards the top of the South Atlantic League in nearly every offensive category, including sixth in runs scored. This past week, Spanberger went 9-for-20 with a double, triple, four home runs, six RBI, five runs scored, and two stolen bases over 5 games. Such production earned him the title of South Atlantic League Player of the Week. Furthermore, Chad has been selected to the South Atlantic League All-Star Game to be played in Greensboro, NC on June 19th. 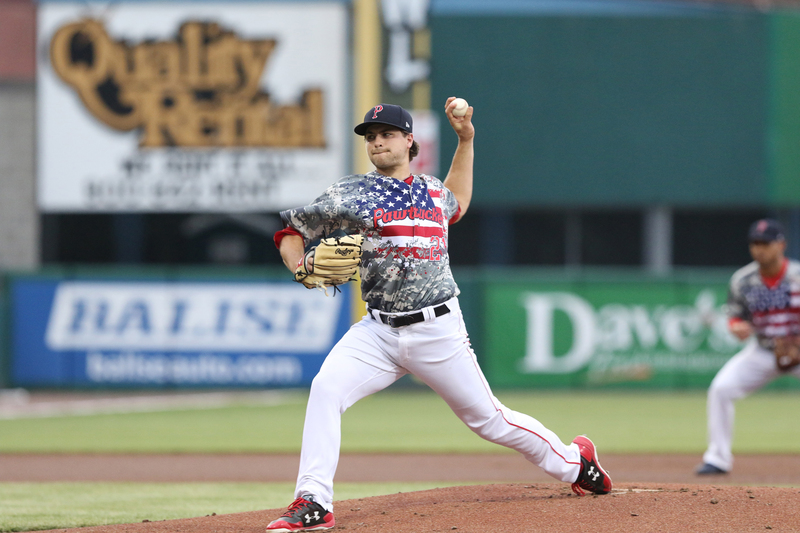 Just under a year removed from his last start as a Razorback, Trevor Stephen took the mound for the Trenton Thunder, the New York Yankees AA affiliate. In his 18 appearances, 17 starts in Single A ball, Stephen recorded 93 strikeouts over 75.1 innings. That’s all the Yankees needed to see before promoting Trevor to AA Trenton. Stephen began the year with Class-A Advanced Tampa, and it took just 7 starts, over which he struck out 49 and threw a league leading 1.98 ERA to move him up the ranks in the Yankees Organization. Benny Baseball had himself a monster month of May. He slashed .349/.411/.633 over 27 games raising his average by over 50 points. He fell a double short of the cycle twice in three days and had multiple hits in nine additional games as well. After hitting one long ball in the first 26 games he was able to connect for six home runs over the next 27. Since Saturday, Bennintendi has slashed 6-of-19 with seven runs scored, three homers with five RBIs and a stolen base. Blake Parker had an incredibly productive, but seemingly quiet month of May. He tossed an 0.79 ERA while striking out 16 in 11 appearances. He was called upon for two save opportunities, both of which he executed. His outstanding May has already earned him save opportunities in the early stages of June.